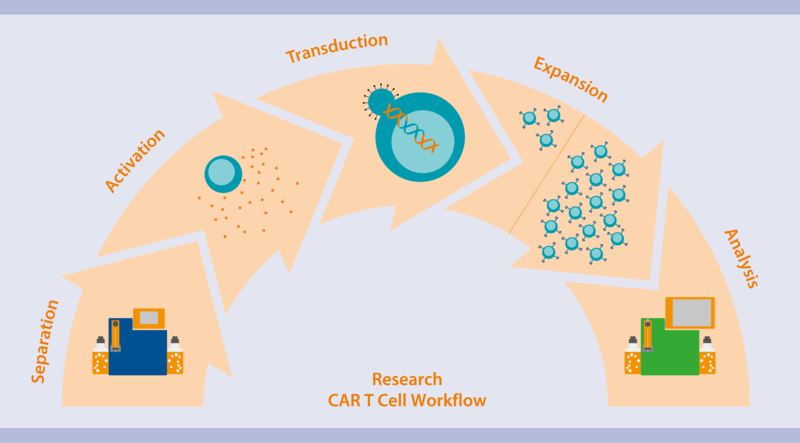 We offer synergistic and fully translational solutions for every step of the Research CAR T Cell Workflow. For the automated T cell transduction process on the CliniMACS Prodigy®, please refer to GMP-engineered T cells. Research CAR T Cell Workflow. The first step of CAR T cell production is the enrichment of T cells from your starting material of choice: Use our classical MACS® MicroBeads and Isolation Kits to isolate highly pure T cell subsets (e.g. CD4+, CD8+, or Pan T cells) from human PBMCs or our innovative StraightFrom® Technology to isolate cells directly from whole blood and blood products (e.g. buffy coat, Leukopak®, and LRSC). With StraightFrom MicroBeads, highly pure T cells are directly enriched in only 30 minutes by skipping time consuming density gradient centrifugation. This novel approach is automatable using the MultiMACS™ Cell24 Separator Plus to increase throughput and productivity. MACS Technology guarantees gentle and highly efficient T cell isolation, is fully compatible with any downstream application, and allows for a seamless translation into clinics, e.g., on the CliniMACS® Prodigy Platform. *Leukopak is a registered trademark of StemExpress, LCC. 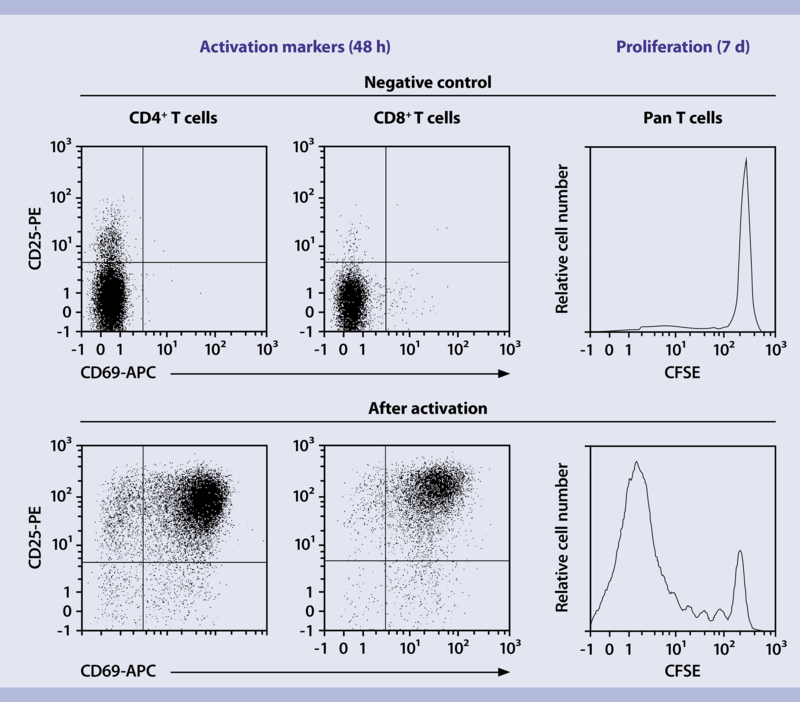 Enrichment of CD4+ and CD8+ T cells using MACS® Technology. MACS® MicroBead Technology is the most trusted and proven cell isolation technology. Minimal labeling and smallest bead size – preserved characteristics and no cell activation. No cell stress – highest viability and no effects on cell functionality. Free epitopes and no bead aggregates – cells can be directly used in downstream applications. Automated separation with the MulitMACS™ 24 Cell Separator and the autoMACS® Separator Pro – speed-up your research. Enrichment of CD4+ and CD8+ T cells by positive selection using a mixture of CD4 and CD8 MicroBeads (1:1) in combination with the MACS Technology, either manually or automatically using the autoMACS® Pro. Cells were fluorescently stained with CD45-VioBlue®, CD4-VioGreen™, and CD8-APC-Vio® 770 and analyzed by flow cytometry using the MACSQuant® Analyzer. Cell debris and dead cells were excluded from the analysis based on scatter signals and 7-AAD fluorescence. Activation of T cells is important to start the proliferation process and to facilitate efficient retroviral or lentiviral transduction with a given CAR construct. Activation and expansion of human CD4+ and CD8+ T cells using T Cell TransAct™ and TexMACS™ Medium. T Cell TransAct™ is the next generation activation reagent providing physiological T cell activation and expansion. Practical application – volumetric dosage, ready-to-use, removal by simple washing. Robust stimulation – activation of resting T cells via humanized CD3 and CD28 antagonists conjugated to a polymeric nanomatrix leads to excellent proliferation and high expansion rates. 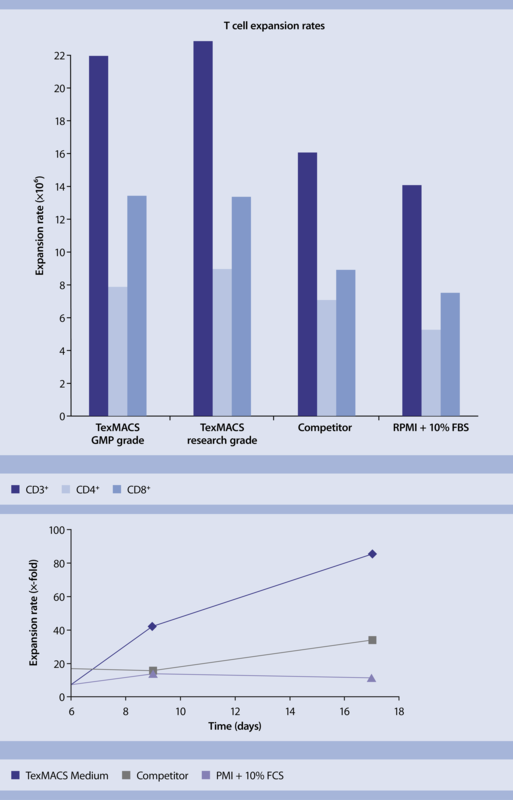 Translational – available in research- and MACS GMP Grade. Human T cells were isolated using the Pan T Cell Isolation Kit, human. Purified T cells were stimulated with T Cell TransAct, human and cultured in TexMACS Medium containing IL-2. CD4, CD8, CD25, and CD69 expressions were analyzed via flow cytometry on a MACSQuant® Analyzer. Proliferation was measured using the cell division tracker CFSE. T cells activated with T Cell TransAct, human showed high expression of activation markers CD25 and CD69 after 48 h, as well as strong proliferation after 7 days of culture. 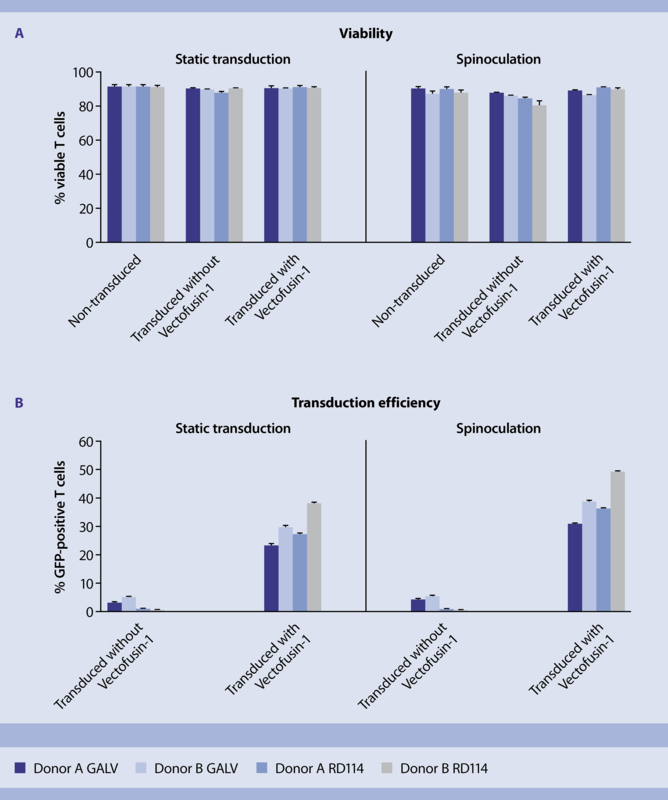 Transgene expression depends on gene transfer efficiency. However, viral transduction of suspension cells with retroviral vectors is often inefficient and requires the use of transduction enhancers. Viability and transduction efficiency of T cells in the presence and absence of Vectofusin-1. Vectofusin-1® is the ideal transduction enhancer to boost viral gene transfer. Convenient and time saving – no pre-coating of cell culture surfaces required. Human T cells were transduced with gamma-retroviral vectors encoding GFP in the presence of Vectofusin-1. Transduction was performed either at 37 °C in an incubator (static), or the T cells were centrifuged at 400×g for 2 hours at 32 °C (spin) before they were transferred to 37 °C. GFP expression was analyzed on day 7 of cultivation using the MACSQuant®Analyzer. T cell viability was assessed by flow cytometry using Viobility™ Fixable Dye. Optimal cultivation and expansion of transduced T cells rely on the strong synergy of T cell activation reagents, TexMACS™ Medium, and MACS® Cytokines. T cell expansion rates according to CD3+, CD4+, and CD8+ marker expression. Optimized, serum-free cell culture medium for reliable T cell culture results. Human T cells were isolated from peripheral blood mononuclear cells (PBMCs) using the Pan T Cell Isolation Kit, human, and stimulated with the T Cell Activation/Expansion Kit, human. Cells were cultivated in the presence of IL-2 for 14 days in either TexMACS GMP Medium, TexMACS Medium, research grade, a competitor’s T cell medium, or basal medium (RPMI + 10% serum). CD4 and CD8 expressions were analyzed via flow cytometry on a MACSQuant® Analyzer and cell expansion was evaluated by cell counting at culture onset and after 14 days of culture. Highest expansion rates were achieved when cultivating T cells in TexMACS Medium (MACS GMP and research grade) compared to a competitor’s T cell medium or basal medium. Human IL-2 IS biological activity. Benefit from lot-specific activity of our premium-grade cytokines. High reproducibility – biological activity determined for each lot for extract unit dosing. Time and cost saving – not lot-to-lot testing needed. Translational – stringent manufacturing processes and quality control up to MACS GMP Grade. Activity of Human IL-2 IS, premium grade, (dark purple bar) was compared to another commercially available product (light purple bar). To monitor immune cell composition throughout the whole production process and to finally verify functionality of engineered T cells in vitro, we offer a broad spectrum of antibodies and cytokine analysis kits. 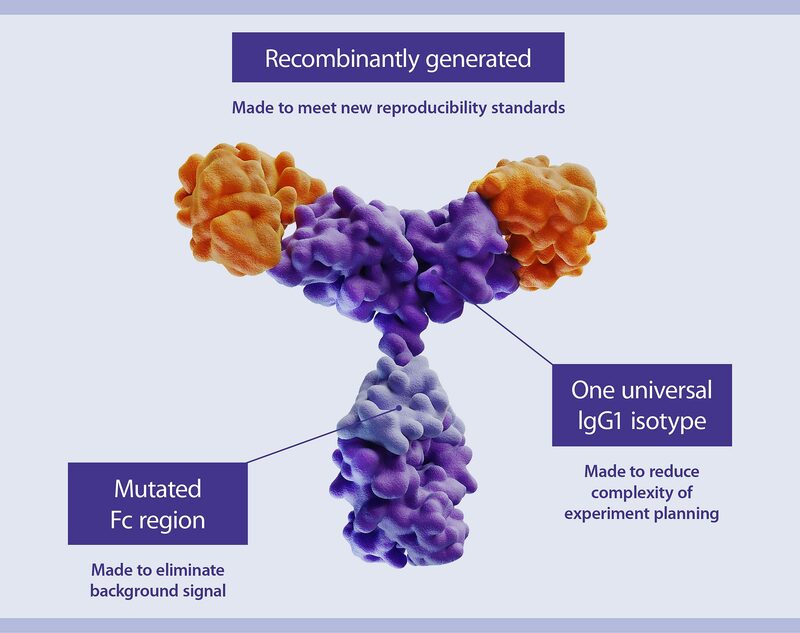 REAfinity™ Recombinant Antibodies provide superior lot-to-lot consistency and purity compared to mouse or rat hybridoma-derived, monoclonal antibodies. Highest purity and lot-to-lot consistency. Eliminates tedious and costly Fc receptor blocking steps. One universal isotype control for convenience and cost savings. The accurate quantification of cytokines facilitates detailed examination of newly engineered CAR T cells. 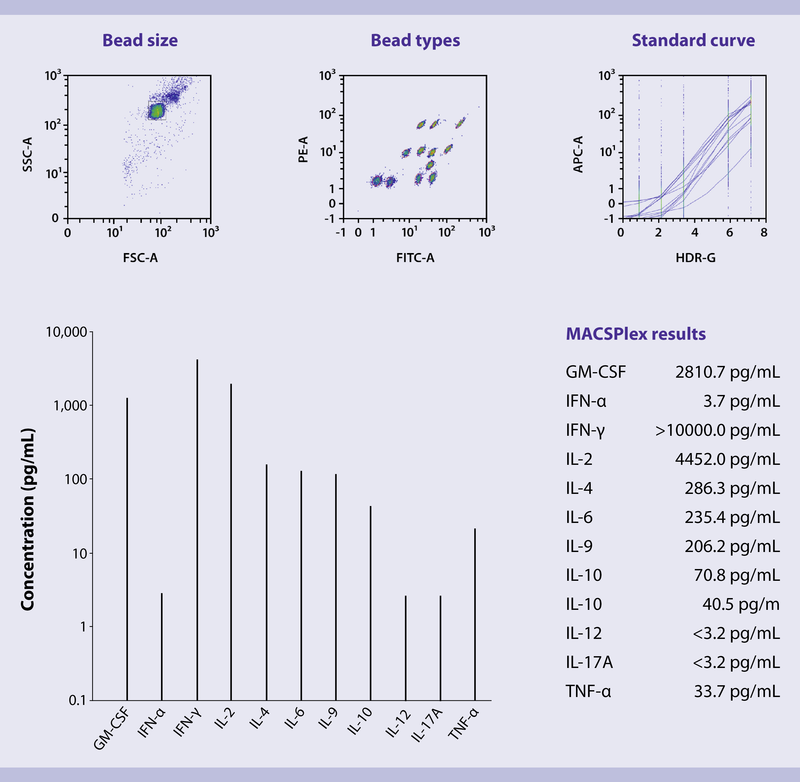 Exemplary analysis and results using a MACSPlex Cytokine Kit. MACSPlex Cytokine Kits were designed for easy quantification of secreted cytokines in cell culture supernatants, making it easy to assess CAR T cell functionality. Up to 12 human cytokines in one sample. Analysis can be done with every standard multi-color flow cytometer. Optimized for automated measurement using the Express Modes of the MACSQuant® Analyzers. After single beads are identified, color-coded MACSPlex bead populations are automatically identified by their fluorescence properties in the PE and FITC channel. Standard curves for each investigated cytokine in the unknown sample are generated. The median of the APC fluorescence of each captured bead population gives the concentration of each cytokine in the unknown sample. Results are displayed as a graph and as absolute numbers.